It has been lovely to see some new faces at MKC Heroes this term and great to see so many returning. Throughout the term we hope to give our Heroes an opportunity to take part in a variety of activities in club time. If you have any activities you would like to share please contact Mrs Smith, Mrs Best or Mrs Rae. Last week 6 of our Service Children met up with other local school Service Children and the RAF Community Development Officer to share their views on what support they would like during times of deployment and transition. If you have any thoughts on how we as a school can support your Service Child please feel free to speak to Mrs Smith, pop in or drop her a Dojo message. Mannequin Challenge - some of our older MKC Heroes made an attempt at the mannequin challenge - one 'mannequin' was definitely singing! SAC Michael's Rollercoaster ride - over the half term holiday SAC Michael's had a trip to Alton Towers to experience his first roller coaster ride. If you would like to share any photographs for our school website of SAC Michael's or Sgt Saint's time with your family please let me know. 1st October = Lincolnshire Day: We thought we would explore the legendary tale of the Lincoln Imp with our MKC Heroes as many of our children have moved into the county (due to their Service parent being stationed at local RAF bases) and may not have heard of the mischievous imp. Legend has it that 2 imps caused havoc at Lincoln Cathedral, throwing chairs and tripping up the Bishop. An angel in the cathedral saw their behaviour and decided to put a stop to it. The angel cornered one of the imps in the eaves and turned him to stone - he remains there still. Can you find the Lincoln Imp in our Nest? What happened to the other Imp? Some believe he fled to Grimsby, others believe he circles the cathedral like the wind...... what do your imps believe? MKC Heroes after-school club is back! Our Heroes worked hard last week making their shiny star profiles for our school display board. Have a look when you are next in our assembly hall. 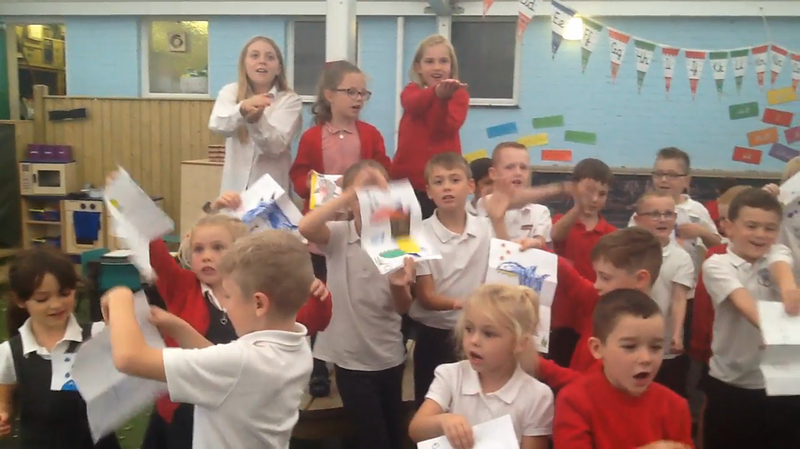 This week we embraced the recent craze of Baby Shark - and made a video of of us all singing... it's a song that will stick in your head! We've only gone and won!!!! MKC Heroes members entered the recent Lincs FM design a rodeo ride competition and our very own McKenzie Rae was selected as the winning design - well done!!! The rodeo ride is being custom made and will be visiting our school later in term 6. There will also be a popcorn machine which is equally as exciting!! NEW TERM BEGINS - SAC Michaels and Sgt Saint have safely returned from the their missions over the Easter holidays and are excited to find out their deployments for the next term. If they do come home with you, please feel free to write in their mission books or stick in some photos. SAC Michaels had a high flying time over the hols... check out his selfie!! Prince William visited RAF Coningsby on Wednesday 7th March and some of our MKC Heroes (past and present) had the opportunity to talk with him during their attendance at a STEM event to mark the opening of the new Engagement Facility. It was a truly wonderful day for learning and making memories. We hope that the STEM event has inspired our Heroes for their future employment. As Chinese New Year was celebrated during the half term break, the activity this week was based around this theme. We made Chinese Dragon and dog masks ( 2018 Year of the Dog). Sophie has really loved having SAC Michaels stay with her over the half term holiday. He has fulfilled his duties of providing lots of hugs and went on loads of adventures with Sophie..... he especially enjoyed the ballet class. “My mission is to provide hugs, cuddles and comfort to Service Children; to help those children who have a parent on deployment to keep smiling and stay happy; to deliver hundreds of hugs when their parent isn’t able to; to hold their hand at bedtime & all through the night if needed; to join them as a friend on any adventures they go on during the week”. Each week a child from MKC Heroes will take home one of the bears. We will first be offering those children who have a parent on deployment the opportunity to take home a bear. If you or your partner are due to deploy, please let us know. MKC 2018 - This term we have extended the numbers of our after school club due to the increased interest in children wishing to attend - we have 37 children in the club and it is great to see so many new members. This week we asked the children for their ideas on what they would like to do at club - this ranged from colouring, baking, eating biscuits, playing football, making kites to have having a sleepover and watching movies. Watch this space for the activities your child does. As Remembrance Day approaches we took a few moments in club today to talk about the ultimate sacrifices so many men and women made during the World Wars and to reflect on the sacrifices our loved ones continue to make to keep our country safe. We worked hard in making the poppies for our Remembrance display. Club today was quite emotional for some of our children whose parents are currently serving overseas and the club allowed them the space to express themselves amongst other children who know exactly how they feel. It was very touching to see your children supporting each other, offering each other helpful advice and wrapping an arm around their shoulders to offer comfort. Remember, remember, the 5th of November - happy fireworks night to all at RAF Coningsby. Our MKC Heroes were making their own fireworks in club this week using large chalks, brush painting and blow painting techniques. Pretty spectacular don't you think! Our school has registered to take part in Reading Force, a national shared reading initiative for all Service Children and their families and friends. In school we have a number of the colourful scrapbooks for children and young people with fun stickers, a fold out guide for Service families on how to take part and a postcard to claim a free book. The Reading Force Scrapbook competition runs every year throughout the year, with two closing dates - 30th April and 31st October. Every family who enters a competition receives a certificate and a book. Pop into school and pick up your copy of the Reading Force scrapbook from Mrs Smith and enjoy the experience of connecting through reading wherever your child's loved ones are across the country or further afield. Half term is approaching so we had a Hallowe'en themed activities afternoon. We made 'ghost' cupcakes, had a go at the old fashioned apple on a string game and searched for bugs in rice using lolly pop sticks. Special thanks this week to our Big Red Kitchen for making us the tasty cupcakes. Make a wish - we looked at lots of different ways we can make a wish: blowing out the candles on a birthday cake; wishing on an eyelash; throwing pennies in a well or river; quietly in our minds; our Santa list. We talked about how Service Children may have other wishes too, like I wish my Daddy was here to read me a bedtime story, give me a hug, watch me open my presents, wish for him to be safe when he is away with work. Our children used finger painting to make their wishes.... what do you wish for? Week 3 - Did you know that 800 years ago the Battle of Lincoln took place? Did you know that this week the Lincoln Knights are being auctioned? We don't have the funds to buy a Lincoln Knight so in club we were able to decorate and make our own knights. Week 2 at MKC Heroes we made Dream Catchers. This week in school was 'Onesie Day' where our school community raised money for KIDS and The Children's Sleep Charity. In club we talked about the importance of good sleep, how it helps our bodies and minds grow, helps us to concentrate on our learning and helps our parents too - if we are sleeping soundly then they can have a good nights rest as well!!! Our Dream Catchers will help to catch any worries we have in our dreams. MKC HEROES after school club members began this term by looking at the meaning of the RAF Motto 'Per ardua ad astra', which translates as 'through struggles to the stars'. We talked about how this motto relates to Service Children, looking at some of the 'struggles' they have such as moving schools, leaving friends, moving house and a parent being away on deployment at birthdays/ Christmas/ special occasions'. We then looked at the wonderful opportunities that they also have as Service Children such as meeting new friends, experiencing living in different areas of the UK and abroad, the pride they have in their parents role within the RAF, the parties and activities held on camp and how they are all 'stars' to their parent/s. Our MKC members helped to make our new MKC Heroes display - come have look and find your shining star. Huge thank you to the RAF Fire & Rescue, the RAF Police and the jet engineers for their time and enthusiasm today to make our trip extra special. The children had so much fun exploring the fire and police vehicles, getting hands on the equipment and switching on the sirens (repeatedly!!). They were very excited to be able to get up close to the jet, learning about how the jet engines work and missile systems operate. A few will be dreaming of becoming pilots tonight.... but more will have been inspired by the engineers who make them fly! Many thanks to our parent volunteers for your support today.... Mrs Best & I are very grateful... without this support we wouldn't be able to have our annual trip. This weekend Little Troopers launched a brand new, free, easy to use iPad app that is available now exclusively to serving British Armed Forces families. We know that serving parents are so frequently away from home and often communications can be limited or sporadic. We also know that a bedtime story is one of the most important times to a child. So.....we teamed up with Harper Collins Children's Books to bring you Little Troopers Treasures; it will make story time precious every day and will ensure children never miss a bedtime story from their parents again; they can watch the recordings over and over whenever they miss their mummy or daddy. Once you are registered (only register once you just need a family login) you can log in and view the bookshelf with various titles available, then simply record a story. The app will capture your face, your voice and the story book pages while your record, it will all then be immediately wrapped up with love and saved on your device and can be watched or listened to or both over and over again. There is also some supporting resources such as a weekly planner, separation diaries and time difference sheet for you to print and use to compliment the app. Huge thank you to Cpl Rae and our friends at RAF Coningsby for allowing us to have a close up look at some of the RAF survival equipment. Our MKC Heroes really enjoyed exploring the life rafts - some great discussions about what they would eat and how they would go to the toilet if stranded at sea!! · Please film each answer to the question as a separate video. 1. What do you miss about me when you're away? 2. What's been your most memorable moment with me? 3. What have I done that's made you most proud? 4. What's your best joke dad? Please ask all parents to email us back confirming in writing that they are happy for us to use the video content featuring them and their kids on The Royal British Legion’s social media channels. Please let me know if you need more info. Here are a few pictures of Lady Hillier's visit to our school. Members of our MKC Heroes after school group (past and present) met with Lady Hillier and shared with her their experiences of being a Service child. 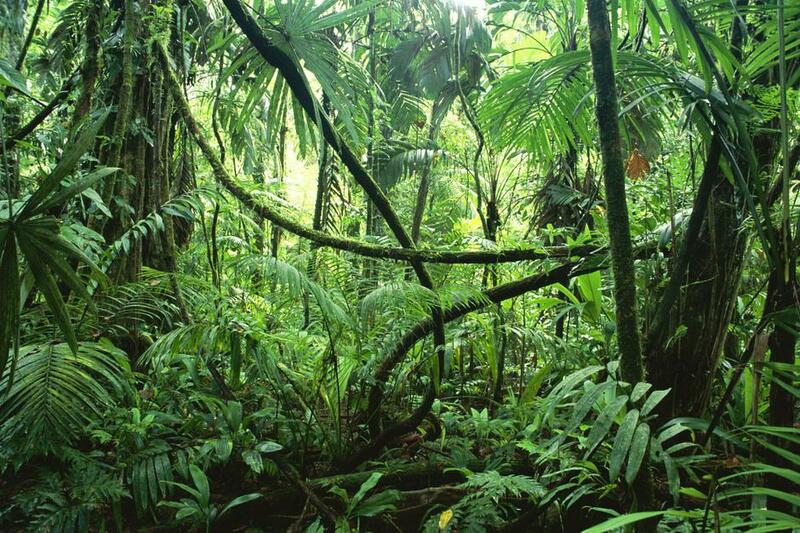 They also took great pride in showing Lady Hillier our Mystical Garden. We hope that she enjoyed her visit to our school and we know that she was very impressed with our outdoor learning space. The results of the 'Happiness' competition will be announced at our Celebration Assembly on Friday. I'm a Military Kid..................Get Me Out Of Here!!!! This term our Military Kid's Club will be following an 'I'm a Military Kid.......Get Me Out Of Here!!' theme. We have split into two camps - HOME and AWAY and we will be completing a series of challenges and tasks to earn STARS. Week 1 - Skittles Straw Challenge - Working as a team, move 5 Skittles from the start to the end of the line. You can only move the Skittles by sucking them onto the end of your straw. STAR today awarded to the HOME team. Well done all for the effort you put in and it was great to hear several say 'it doesn't matter who wins, it about having fun'. Happy Pancake Day! MKC kids decorated their own pancakes - hope you enjoyed them! Military Kids Club started back on Wednesday 11th January after our Christmas break. Mrs Smith and Mrs Best were pleased that 17 children came along to join in the fun. The children really enjoyed making their 'hugs' for the special people in their lives. Did you get a hug?? I would like to say a BIG thank you to Mrs Berry and Mrs Stanton who helped to set up & run the MKC after school club over the last 2 years. I couldn't have done it without you. Mystical Garden - Last week saw the opening of our schools mystical garden. Funding for the garden came through the MOD so our MKC Heroes decided to send a special natural thank to Mrs Hodson. We are looking forward to using the garden in our learning and after school club. RAF WINGS - This is a selection of the wings made by our MKC members for 2016. We have now been allocated a display board in the main hall so pop in and have a look after half term. MKC Heroes after-school club started back this week with 30 children attending. We welcome back those who have attended before and give a special welcome to a few new Heroes. Those who have signed up to MKC will have a place until Christmas 2016. We have divided the group into 3 groups - Lancaster, Hurricane and Spitfire with our Year 5 pupils Hayden, Kaiden and Leah taking a lead in these groups. This week we got our own RAF wings which we have coloured in and will be displayed in the main hall (when the board goes up!). We also played a game of cups up/ down to encourage working together in groups. Apologies for the time mix up - to confirm MKC Heroes will finish at 4.15pm each week. If you have any skills or activities you would like to share with MKC Heroes please contact Mrs Smith. MKC Heroes end of year trip 2016 to BBMF. What a fantastic (and hot) afternoon our Heroes had at BBMF. We all feel very lucky to have the Lancaster parked on our doorstep!!! The BBMF trip was extra special for a few of our Heroes as they have a parent who works at BBMF. A huge thank you to Mrs Berry & Mrs Stanton who have supported the MKC Heroes throughout the year. Also, thank you to all those parents who have volunteered your time (and offered to). Wishing you a safe and restful summer. SOMME 1916 - It is one hundred years today since the start of the Battle of the Somme. Our MKC Heroes paid tribute to the million lives lost or injured during this battle by making a poppy field picture. We made the poppies by finger painting. Lest we forget. We are very proud of our pupils who took part in the National Armed Forces Day event on Saturday at Cleethorpes. The feedback from the RBL was fantastic...... they loved your pictures and poems so good work Heroes!! Thanks to all those parents who travelled with our Heroes or met them there.... your support made the day a success. NATIONAL ARMED FORCES DAY - Our MKC Heroes have been busy writing poems and drawing pictures to share their experiences of being a Service Child. Here is a selection of their work which will be on display in the Royal British Legion tent this Saturday at NAFD. Our pupil Christopher will be representing Service Children through MKC Heroes as he will be parading in the main parade at Cleethorpes. 15 other MKC Heroes will be there to cheer him on!! HMS HEROES has been renamed and we pleased to announce that the new name is Military Kid's Club HEROES (which will be abbreviated to MKC HEROES). MKC HEROES is a national support group for the children of Service men and women and their relatives. It is a tri-Service Network which brings together members of Service families. MKC Heroes members are ambassadors and young advocates for Service families across the United Kingdom, and most importantly, they are friends who are there for each other, especially in times of need. Our school has joined up to MKC Heroes to help support our Service children with issues which affect many Service children for example when a parent is deployed, moving school or house due to a parent being posted, dealing with war and conflict in class, missing friends who have left our school. The support is on-going so watch this space for events and news. Whether it's 'Football's coming home', #Togetherstronger or #Daretodream football was certainly on everyone's mind at MKC club this afternoon. Back to basics with foosball - simple way to make your own team and play with your mates - the fun is playing, the result is a bonus!! 5, 3, 2 format perhaps?? MKC Heroes had a taste of the drill square this afternoon thanks to Sgt Dave Lockey. After several practices in formation our MKC Heroes were nearly...... very nearly...... step perfect! Last week our HMS Heroes were asked to identify the 5 planes in the pictures (see document below). Congratulations to Mrs Stanton's LANCASTER group and especially Aidan (Yr 1B) who named them all correctly!!!! We have increased numbers for the summer term and to assist with the smooth running of the after school club our HMS Heroes have been split into different groups for the purpose of taking part in activities. The group names are: SPITFIRE, HURRICANE and LANCASTER. We have decided that siblings will be in the same group. Inter-group competitions will take place but please remember that these are for FUN! This year Armed Forces Day celebrations are being held in Cleethorpes. As one of only a few schools in Lincolnshire who have an HMS Heroes group we have been invited to attend the celebration event. Letters have been sent home to parents and if your child wishes to attend please return the signed consent BEFORE Friday 29th April 2016. Our attendance at this national event will be an opportunity to promote the profile of Service Children. I do hope you are able to attend. This Mother’s Day, Sunday 6th March 2016, The Royal British Legion is raising awareness of how fantastic our Military Mums are. They have put together a video, along with children from another HMS Heroes group, talking about how great Mums are. This video will be launched on Mothering Sunday on the RBL site - share this with your child so they can connect with other HMS Heroes across the nation. At our club this week we made Mothering Sunday gifts - a corsage flower - many would have been fit to have been worn by a proud Mum at a Military ball. We would like to celebrate how great our Military Mums are too - so if you are happy for your child to be part of this national campaign please complete the consent form and return by 09/03/16. Our HMS Heroes started back in January 2016 by making their own Heroes calendar so that they can keep a record of all those important dates. Unfortunately we then missed out on 2 sessions but last week we caught up on our activities by making a Loch Ness Monster - some rather scary and others quite cute!!! Our HMS Heroes would like to wish everyone in school and across our community (at home or abroad) a very Merry Christmas and a Peaceful New Year. It's beginning to feel a lot like Christmas......... some of HMS Heroes are excited about the arrival of Santa and some even more excited about having their Dad's home over the festive period. This week we made Christmas trees and next week will be more Christmas crafting....... what would you like to make?? HMS Heroes at play! We had a games club on Thursday afternoon and our Heroes used their imaginations to make things from play dough and Lego. Other chose to play traditional board games like Snakes & Ladders. FESTIVAL OF REMEMBRANCE 2015 - On Thursday 12th November members of our HMS Heroes and Collective Worship Council attended a Festival of Remembrance hosted at Barnes Wallis Academy. The event had been organised by RAF Coningsby Chaplaincy. We performed a short drama depicting the start of the Battle of Britain which included the songs It's a Long Way to Tipperary and Pack Up Your Troubles. We are ALL heroes!!! Tomorrow is Children In Need day and our children will be dressing up as Superheroes. In HMS Heroes club we talked about our parents being Heroes and we made a mask of Pudsey Bear. Lydiard Park Field of Remembrance 2015. This is a picture of our crosses having been placed in the Field of Remembrance. Pupils from Corsham Primary School very kindly represented HMS Heroes at the event and carried the HMS Heroes Standard. Our pupils decorated Remembrance Crosses some of them we sent to the Falklands and some to Lydiard Park Garden of Remembrance. Mrs Berry and Mrs Smith are delighted to see so many HMS Heroes back this term and looking forward to getting to know those new members. Our first week back just happened to be the week that HRH The Duke of Cambridge (William) flew over our school in a Chipmunk and we all went out to watch. We made planes using wooden clothes pegs and lollipop sticks at our HMS Heroes club. Last week was Lincolnshire Day (01/10/15) so we all took part in making our own Lincoln Barons. I wonder how much money our Barons would have raised if we entered them in a Baron auction?? Have a look at the lovely photo frames are Heroes made from card and lollipop sticks. Will they put a photograph of their parent/ friend or pet inside? Have a look at the lovely boxes our Heroes made last week and finished decorating them this week. The idea is that the boxes can be used to hide your treasures in or for keeping safe your thoughts, dreams and wishes. Some of our children thought they would be good to keep their teeth in - for when the tooth fairy comes to visit. Well done to everyone for all the effort and creative ideas. 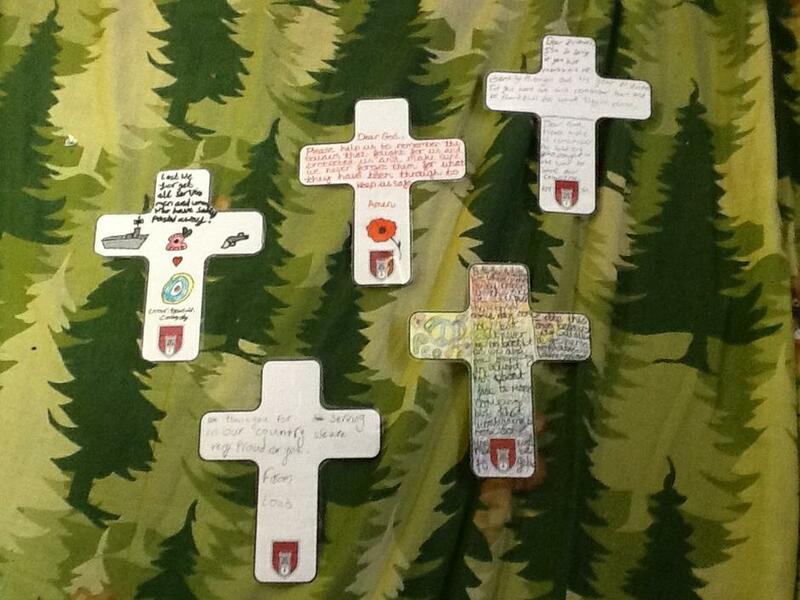 Some of our pupils made crosses which we posted over to Mount Pleasant Primary School on the Falklands. This week we received pictures of their pupils placing our crosses on the memorial at Fitzroy. They also sent us some stories written by the pupils about their trip to Fitzroy memorial. Please open the documents below and have a look. Our HMS Heroes spent time looking at some of our Church School Values and how they link with the Armed Services work. The values we looked at were Trust, Friendship and Forgiveness. So many of our Armed Services Personnel deserve medals for the work they do both at home and in other countries - bravery and dedication which keep us safe. We know that our HMS Heroes and other family members deserve medals too for the sacrifices they make when their loved one is away at work. Well done to all our medal makers, what a fabulous job you did! Our HMS Heroes had great fun making shelters and Union flags. The addition of the Lancaster and spitfire flying overhead really made it feel like 1945! This week our HMS Heroes were looking at different countries and their flags. We made the flag and then had a chance to draw the flag or the outline of the country in chalk on the playground. 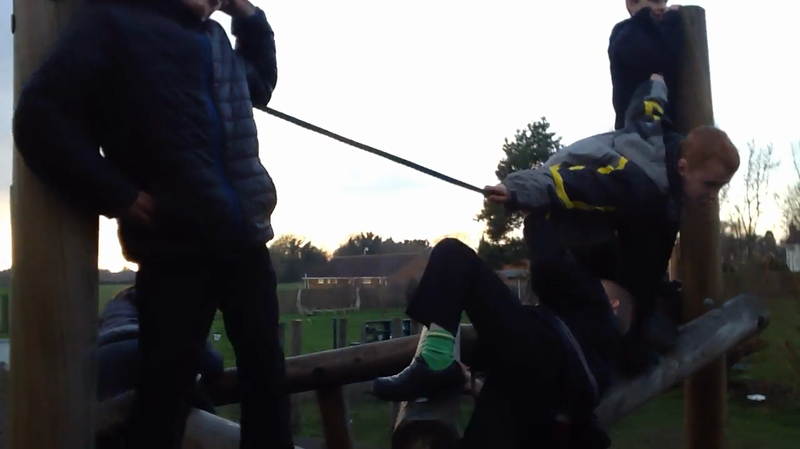 Super effort by all and check out the teamwork! Welcome back to those returning to HMS Heroes - Smiles Across The Miles after the Easter holidays and a BIG welcome to those new members! This week our Heroes were colouring in some St. George's Day pictures, playing with Lego or making their own Heroes characters. Afterwards we all went outside and had some fun in the sun with the parachute playing 'cat and mouse'. Let's hope the good weather continues for loads more outdoor activities. HMS HEROES CONTINUES THROUGHOUT THE SUMMER TERM! Apologies to those parents and children who thought the club was running today. Apparently the clubs don't start in the first week back. Our club IS MOST DEFINITELY running from Thursday 23rd April onwards. Those children who signed up last term are still members of the club. If however your child does not wish to attend anymore please let me know as we have a waiting list for others wishing to join. We look forward to seeing you all next Thursday. At the last HMS Heroes - Smiles Across the Miles group before the Easter holidays we were joined by pupils from William Alvey School, Sleaford. Together we made parachutes from plastic bags, strings and spools. We all had great fun launching them from the school window (under close supervision). The children did a fantastic job at making and decorating their parachutes and it made me wonder how many of them will have an opportunity in life to do a parachute job, or even make parachutes from our Armed Services?? For a picture of some of our children please see the document below (those faces blocked out are children from William Alvey). IS IT A PLANE OR A DRAGONFLY? 'TOGETHER AS ONE' IS THE MOTTO FOR HMS HEROES. OUR PUPILS WORKED HARD TO DESIGN THEIR OWN UNIFORM. We had a fantastic response from pupils wanting to join up to the HMS HEROES club and all those who applied can be accommodated! We will keep you updated about the club activities and if you have any suggestions for things you would like to see happen, please let Mrs Smith know. Reading Force is a national shared reading initiative for Service families. One of the best things about reading books is sharing and talking about them with family members - if you have a family member or friend in the Armed Forces then Reading Force is for you! Whether your loved ones are at home or away, all can get involved. So join the fun and ask Mrs Smith for your special scrapbook and you can sign up to receive your free book! 06/02/2015 - HMS Heroes 'Smiles Across The Miles' after school club will start on Thurs 26th February 2015. Spaces may be limited so if your child is interested in attending the club please contact Mrs Smith. The club will be held every Thursday after school and will run from 3.15pm until 4.15pm. Activities will include arts and crafts, playing games, learning about the Service community and giving the children a voice to share their experiences. All children are unique and have differing needs. Service Children often have additional issues to face such as a parent being away for several months on deployment, having to move school, move house and move geographical area all at once, dealing with the topic of war and conflict in the classroom and missing friends who have left our school. Service families are also unique and their resilience to cope with the additional issues their children face will vary. In order to ensure that our HMS Heroes support meets the needs of our Service Children, I would welcome your views and comments on what type of support you feel is required. I propose that a weekly HMS Heroes after school group is set up and that it runs throughout the year. The group can be accessed by any Service child who is in need of some additional support, for example due to deployment, a friend leaving or a school move. Please submit your views and comments either in writing or by email to Mrs Karen Smith, Learning Mentor before Friday 6th February 2015. I look forward to hearing from you. Some of our Service Children in Year 6 designed their own Remembrance crosses which were then posted to Mount Pleasant School in the Falklands and laid on Remembrance memorials across the islands. Some of our pupils have attended the 'Smiles Across the Miles' after-school group, which was set up to support children who had a parent on deployment. The children took part in various craft activities including designing their own medals, learning about communicating with flags, making paper parachutes and exploding a bottle of coke. Our children also looked at some of the issues they believed affected them as Service children and represented them through the RAF motto 'Through Adversity to the Stars'.